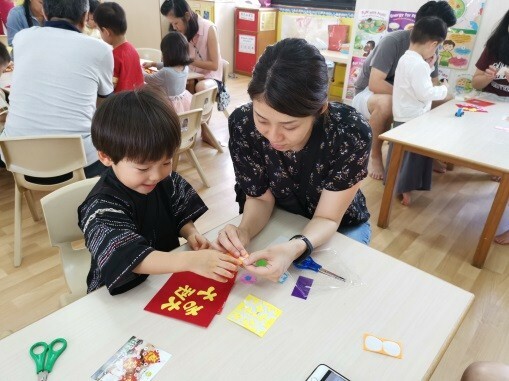 On 4th February 2019, the children at ELFA bade farewell to the year of the dog and welcomed the year of the Pig with open arms. 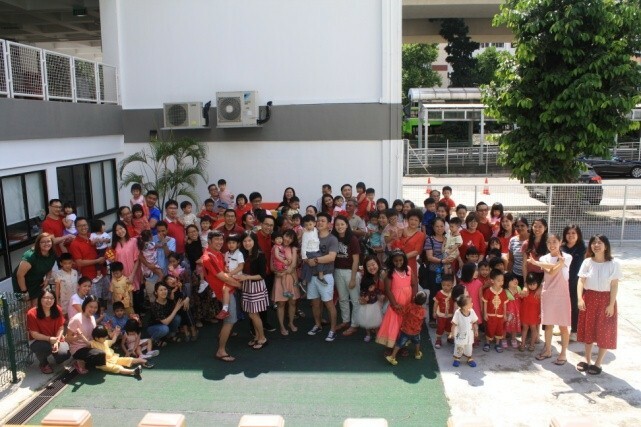 They were joined by their parents at the centre, who bonded with them in various specially-arranged Lunar year activities. Enjoying the Lion dance show by our kindergartners. To begin the celebration, teachers shared the history of why we celebrate Chinese New Year and its significance for the Chinese community. 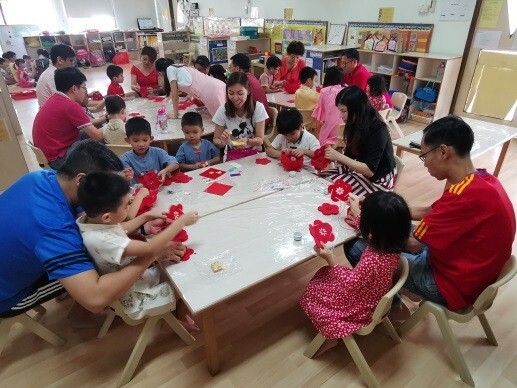 Parents and children made Lunar New Year decorations together and enjoyed the sumptuous spread of new year goodies. 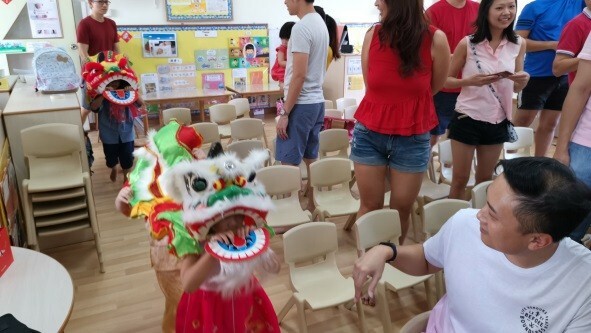 Festive music and excitement filled the air as the children performed various Chinese New Year dances as well as a dragon dance. Let’s play! Matching items to the 8 treasure box. 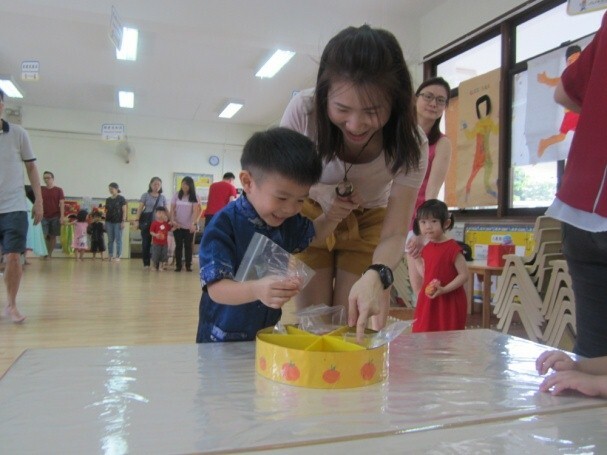 The festivities were wrapped up with the tossing of “Yu Sheng”, or prosperity toss, bringing to a close another meaning reunion in the true tradition of New Year for the Chinese community. Huat ah! 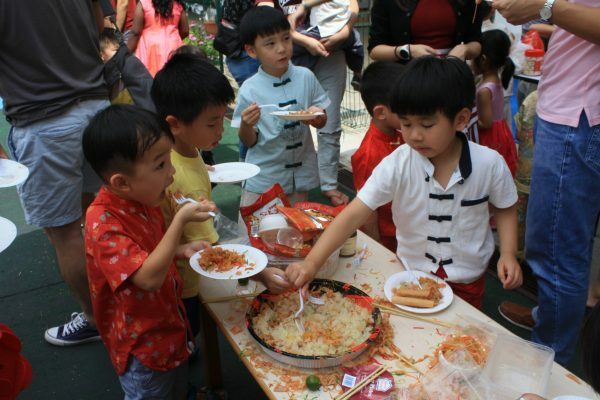 Enjoying the Yu Sheng with one another.